A custom bike fit is essential to every cyclist for optimal riding experience and performance. Whether you've recently purchased your bike or have one that you've been riding for several years, your bike should fit properly. Since cyclists have different body types and movement, there is no standard measurement or position for riding. Often times, cyclists don't realize the negative impact a bad position can have on their performance. Since there is not a true official group or governing body in bike fitting, depending on what "fit school" or classes were taken if any at all, any one can call themselves an expert bike fitter and one can visit 20 different fitters and get 20 different fits. Who is right and who is wrong? The best fit for the client is the right one. 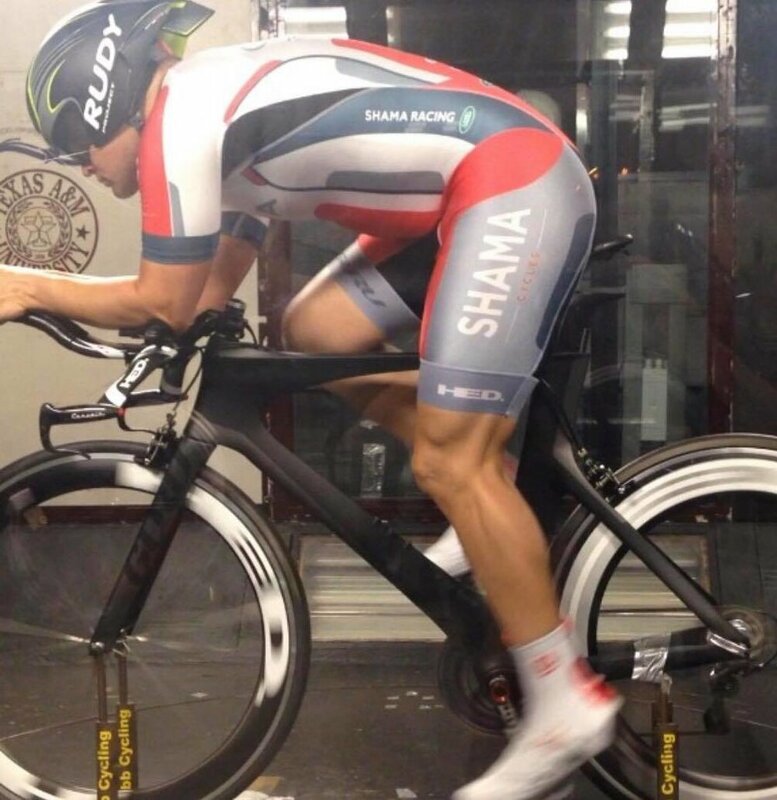 At Shama Cycles, Philip Shama personally fits each client drawing on his 14 years of fit experience and training under John Cobb in the Texas A&M Wind Tunnel, Dr.Andy Pruitt, Retul Fit Programs, and Dan Empfield’s FIST fitting. Taking this knowledge, Philip works closely with each client in the fit process and always seeks feed back after rides to ensure the right changes were made and to make sure comfort and performance gains were evident on the ride. Being the largest Guru dealer in the world and selling more custom frames than any other retailer gives us an advantage in providing custom bike fit in the current bike fit process. Philip personally works with each client recording the position as he draws on his knowledge of a wide range of athletes on a various sized bikes. This allows Philip to know what is possible in a perfect fit and how to achieve it for each client's riding style. That depth of knowledge is what gives Shama Cycles an edge and the results speak for themselves..
From designing custom bikes as well as updating and fitting current bikes for those who race and those who just love to ride, our clients are faster and more comfortable when they leave Shama Cycles. Philip Shama has worked with State Crit, State Road Race, and State Time Trial Champions; a 6 time UltraMan Champion; Pro, Elite, and Age Group triathletes. Shama Cycles race teams are perfect examples of Philip's expertise in bike fitting. Our Road Race team has numerous wins through multiple categories in Texas and Louisiana racing. The Triathlon Team always finds its way onto the podium at triathlons all over the world, whether its the overall, masters, or AG spots, the team often is the largest group represented on the podiums...all mostly with the fastest bike split of the race and in the age group rankings. Those are results that can't be argued with. So whether you race or just love to ride, Philip Shama can work with you to maximize your riding experience. We also do not believe that fits are just a one visit fix at times. At times it take a couple visits to fully dial someone in when making big changes. Also, when getting new equipment with the fitting, time to adapt is needed and then tweaks made. For this reason we do not charge for follow up fits. PRO BIKE FIT $150 We look at cleat, crank, saddle, stem and bar; sizing and placement. With a power spin scan evaluation and video used for before and after shots. As well as recommendations that may further improve the fit and riding experience. RETUL BIKE FIT $250 Pro fit, plus using the Retul 3D Motion Capture System. This gives exact motion data not often caught by the naked eye between fit changes. Great for those with imbalances and data geeks. Getting Tommy Elder dialed in on his custom Alchemy Helios SL. In his 60s and still riding with the young bucks comfortable as can be.